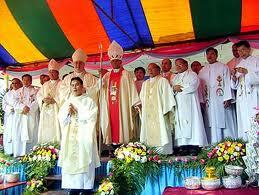 The first ordination in forty years in northern Laos will be celebrated on December 12 next. This was announced with understandable joy and emotion by the apostolic administrator of Luang Prabang, Mgr. Tito Banchong. The new priest is Pierre (Peter) Buntha Silaphet, he is thirty years old, and was born in Phomvan (Sayaboury - Northern Laos). He belongs to the K'hmu ethnic group. Celebrations to mark the first ordination in 40 years in the Vicariate of Luang Prabang, will be held in the village of Phomvan. The future priest is called Buntha, just like the first priest of the area, Father Jean Bosco Buntha, also an ethnic K'hmu ', who was ordained February 22, 1970 by bishop Alessandro Stacciali, apostolic vicar from February 1968 to 1975. In that year the government decided to expel all foreign missionaries, banned from re-entering the country. The apostolic administrator, Bishop Tito Banchong, has managed to gain all the necessary permits from the authorities to celebrate this event. In a non-official manner it has been made clear to all involved that the ordination ceremony should not be given too much importance and instead passed off as a local village celebration. Since 1975, the Vicariate of Luang Prabang has no cathedral, but only small chapels around the country. 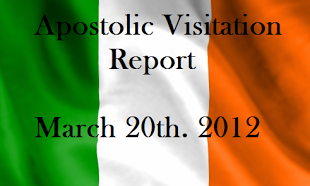 The government is closely monitoring the activity of church life and Christian minorities. The Catholic Church is present in the area with four apostolic vicariates: Luang Prabang, Savannakhet and Vientiane Paksé. Christians number 39,725, representing 0.65% of the population.